Today I am delighted to have Christoph Fischer in the Library who has dropped in to say hello and to share some insights into his life as an author. 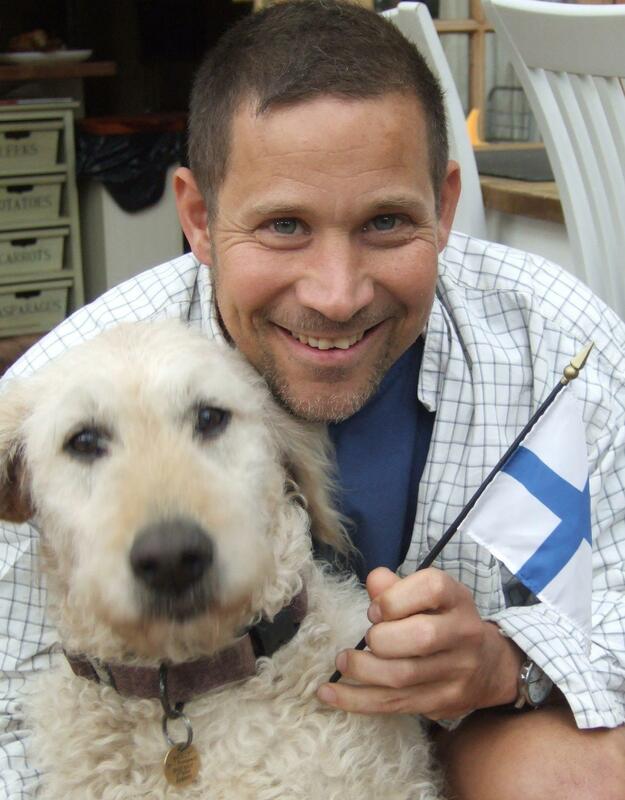 I’m a German ex-pat living in West Wales with my partner, dogs, fish, birds and sheep. An avid reader and fan of the arts, I used to work in museums, libraries and the British Film Institute. Only when my employment with an airline provided me with spare time in transit or hotel rooms did I start writing myself. I always loved reading, from childhood on until this very day. Although my tastes have changed a lot throughout the years, I tend to read the kind of books that I write. I also love comedies but I yet have to try and write one myself. I am self-published. A friend persuaded me to accompany her to a self-publishing course in London where I heard a lot of terrible stories about the degrading experience of looking for an agent. So I decided to go it alone. I write historical fiction, contemporary family dramas and thrillers. Books with cultural or educational components, novels set in a different culture or about a specific topic that I know little of are my favourites and those are the type of books I try to write. I’m an impulsive writer and would find it hard to stick to just one genre. My thriller “The Healer” started out as a novel about alternative medicine but then I saw the potential for a thriller and rewrote it. Some of my German literature school teachers. Since then it would have to be my editors and beta readers. Without a doubt. You can take the boy out of Germany but not Germany out of the boy; even after 25 years in the UK. Several reviewers have picked up on it. To know when to let the story go. A part of me wants to re-write and re-edit every book ‘one last time’ and then another time… I take advice from the beta readers and my editors and remember that in my own critical eye, none of my books will always be ‘perfect’ or ‘finished’. In the middle of the night or very early in the morning when the world is quiet and I can write without interruptions or feeling guilty for not doing something else that I should be doing. The best thing is creating an entire new world, where everything is possible. It can be an escapism from the real world or an enrichment of it. The worst thing is the enormous amount of time that it consumes, and that is just the writing. Let alone the marketing. It is a necessary evil and a very mixed blessing. I’m enjoying some parts of it because I get to meet wonderful people whom I otherwise never would have had the privilege to know. On the other hand it takes too much time from other things and the ‘real world’. I have a soft spot for twitter but blogging on wordpress is my favourite platform. I would be a dog walker and dog breeder, a librarian, Reiki healer or run my own B&B, fitness studio or record label. I recently published “Ludwika”, a historical novel about a Polish woman in Germany during World War 2. 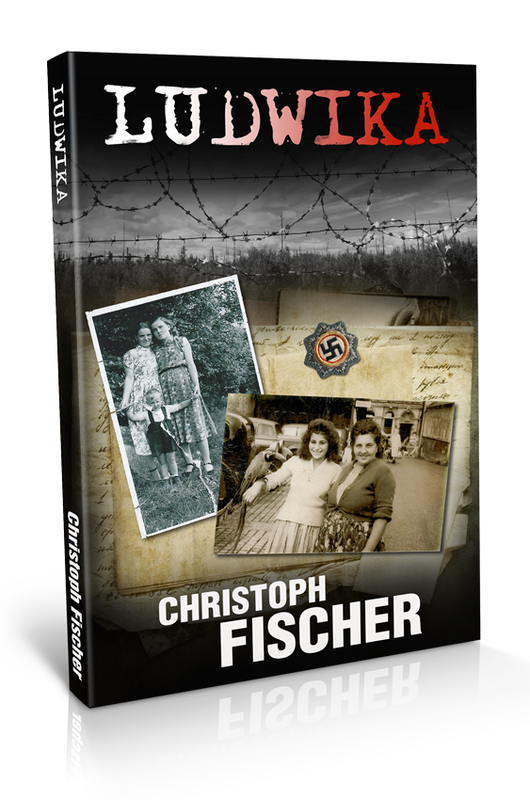 Ludwika Gierz, a young Polish woman, is forced to leave her family and go to Nazi Germany to work for an SS officer. There, she must walk a tightrope, learning to live as a second-class citizen in a world where one wrong word could spell disaster and every day could be her last. Based on real events, this is a story of hope amid despair, of love amid loss . . . ultimately, it’s one woman’s story of survival. 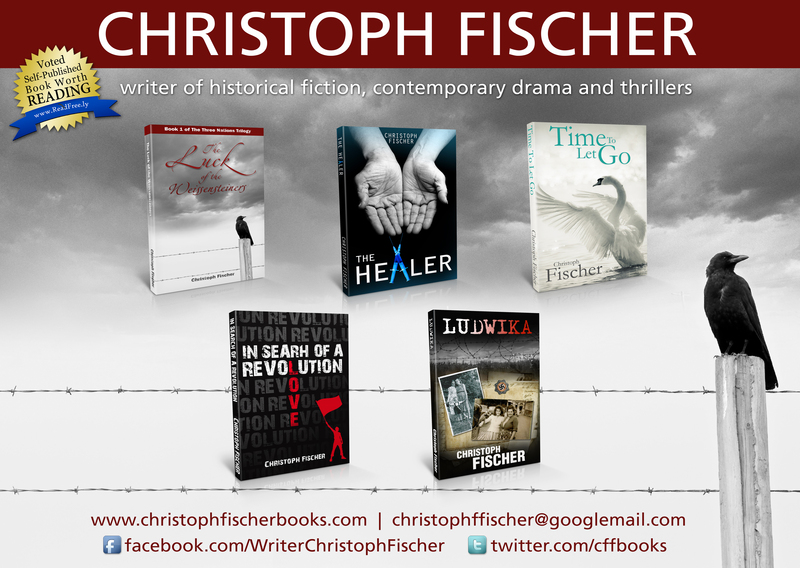 Christoph has written several other novels which are in the later stages of editing and finalisation. My pleasure Christoph, hope the book is doing well.